In Florida, those who are required to pay alimony are allowed to ask the courts for a modification of the payment schedule or amount, but only if they can demonstrate a substantial change in their financial circumstances. However, it is also possible to completely terminate periodic alimony payments. In fact, this occurs automatically when the supported spouse remarries, begins cohabiting with another person, or passes away. To learn more about terminating your own alimony obligations, please contact an experienced alimony attorney today. Although former spouses are permitted to petition the court for a modification of an alimony award whenever there is a substantial change in either of their financial circumstances, there are also situations where modifications don’t need to be requested because alimony automatically terminates. For instance, in Florida, periodic alimony payments automatically terminate when the spouse being supported marries someone else. In most cases, the paying spouse can stop making payments immediately upon the date of the marriage without having to go back to court. However, this same rule does not apply when it comes to lump sum alimony payments or property transfers. In these cases, the obligation to pay alimony survives remarriage if that marriage occurs before the payment is officially made. It’s also important to note that alimony obligations will only be terminated automatically upon marriage when the marriage in question is legal, so if a couple holds a ring ceremony in front of friends and family and holds themselves out as partners, but doesn’t go through the legal process of signing a marriage certificate, the paying spouse would still be required to file a motion in court to ask the judge to terminate alimony. The recipient spouse contributes to the cohabitant’s support. Any other factor that demonstrates a financial relationship between the alimony recipient and the cohabitant. 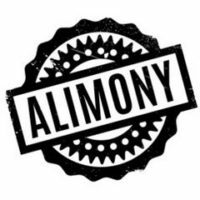 If an application of these factors indicates that the former spouse receiving alimony payments has begun a supportive financial relationship with another person, the court could agree to lower or completely eliminate alimony payments going forward. 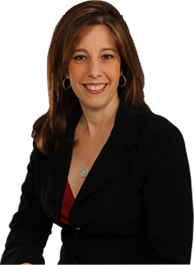 If you have questions about remarriage and alimony, please contact Florida alimony lawyer Sandra Bonfiglio, P.A. at 954-945-7591 today for help.